This Shower Gel's fluid texture and tonic scent will boost your body and your mind. 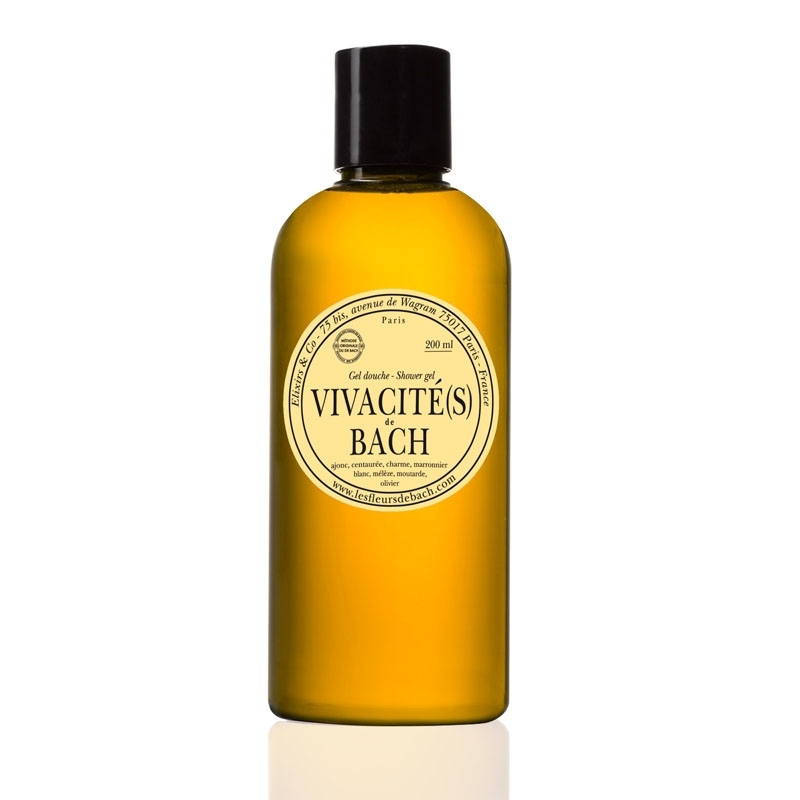 The cheerful and spicy scent of the Vivacité(s) de Bach range of products and the exclusive blend of organic Bach Flower essences they contain build up a sense of confidence and will result in an enterprising mind, strengthened with an uplifting sense of renewed energy. AQUA (WATER), COCAMIDOPROPYL BETAINE,AMMONIUM LAURYL SULFATE, SODIUM CHLORIDE, GLYCERIN, PARFUM (FRAGRANCE),ALCOHOL DENAT.